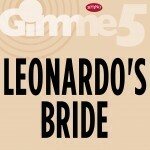 Leonardo's Bride was a four piece band from Sydney, Australia, consisting of singer Abby Dobson, who also played steel-stringed, acoustic and electric guitar, guitarist Dean Manning, who also played piano, Wurlitzer and Hammond, drummer Jon Howell and percussionist Patrick Hyndes who also provided some vocals and electric guitar. 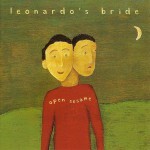 They released two albums, Angel Blood and Open Sesame, before splitting. Abby and Dean were the groups' songwriters. The band's biggest hit was the song "Even When I'm Sleeping" from the album Angel Blood. 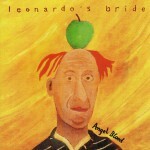 It was a hit on the ARIA charts in Australia, reaching number 4 in 1997. On 23 September 2000, they performed the song in front of a sold out crowd of 70,000 during the 2000 Summer Olympics with many people singing along. The track also appeared in the movies Brokedown Palace and Bootmen. The band has since split. Abby Dobson has since pursued a solo career. Her first single as a solo artist was Don't Ask for More, which displayed a more radio-friendly sound than the band. The song was featured on the soundtrack of the hit show The Secret Life of Us. The second show soundtrack featured another song by Abby, I'm Not Missing You. Abby was also featured on Paul Mac's album 3000 Feet High. In late 2007, Abby released her first solo album, Rise Up, preceded by the first single, Shining Star.